What is an Open Selling Agency ? What is an Exclusive Selling Agency ? To find out more about auction, kindly contact one our sales agents at Move Realty. They will be happy to discuss the auction process in detail and answer your questions. What is Move Realty’s contribution? Move Realty achieves the best price for it’s vendors. While Move Realty perform exceptionally well in mid to high priced properties, the diverse nature of the business offers home sellers in all price ranges the very best results. How do we determine price range? This is where the experience and the expertise of the real estate agent comes to test. At Move Realty, our agents with years of experience and local market knowledge provides a comparative market analysis with a price range. Based on these and the current market comparable, the buyers compete themselves and sets the market price for the property. What happens in an auction campaign? A very focused auction marketing campaign is drawn up by the listing agent in consultation with the seller. 16 days of intense marketing during which the sales team gets busy contacting all prospective buyers on the phone, email, e-brochure, social media as well as encouraging and assisting new queries. The emphasis is on the property and its features. All the interested buyers are invited to the auction and copies of the contract of sale are emailed to them and all assistance offered. We explain the auction conditions of sale and prepare the buyers for the auction. On the auction day, the buyers interested to bid are registered and bidder numbers assigned. The more bidders actively participate in the bidding process, the higher shall be the purchase price and the buyers shall be willing to go way beyond their original budget. 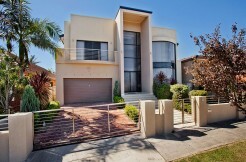 The winning bid over the reserve price, purchases the property unconditionally under the hammer. If the property is not sold under the hammer on the auction day, it can be sold under the auction conditions on the same day. After the auction day, if the property is still not sold, it will be sold under private treaty terms. Do I need Inspections ? Making your property available for inspection is an integral part of the property marketing campaign. It is the opportunity for the prospective buyers to check out the property and satisfy themselves. The sellers have to make sure that their property is dressed to kill for the inspections. The first impression at the inspections are very significant. Sometimes the serious buyers make their purchase decision at the inspections instantly and the sale gets closed. Hence, it’s almost impossible to sell the property without inspections. Mostly the auction properties are sold within 30 days while private treaty takes 60 – 90 days on the market. At Move Realty our auction campaigns are for 15 days. Hence, 97% of our auction properties are sold on the auction day itself. The real estate business is offering a service for a price. The marketing campaign services are purchased from third party sources which have to be paid. The fees for the additional services have to borne by the seller. This is an investment to generate better price for the property. It’s up to you to decide the amount to invest to get the best return. Our professional property sales consultants can assist you to choose the right campaign suiting your property. A minor investment in marketing could fetch you tens of thousands of dollars in return. All efforts are targeted to reach out as many buyers as possible as we are not sure which buyer would walk in to offer that champagne price for your property. We do not want take any chances to miss that special buyer. Moreover, we do not want any pressure on the agent to sell your property at whatever price for a return on agent’s investment. That could turn out to be really expensive to you by losing tens of thousands of dollars. It would not make much difference to the agent as far as the selling fee is concerned but fifty thousand dollars would have been much better in your pocket than the purchaser’s. Why don’t you discount your commission? At Move Realty we have built our business on the philosophy that the more buyers we attract for your property, the better the chances of negotiating a higher price for your home. Sure, you could have put a sale sign and sold the property to first person coming your way as the best price without even realizing the full market potential of your most valuable asset. That’s the take of the low commission real estate agents. How will you ever know if you might have sold for a twenty or thirty thousand dollars more? It is a known fact the sale price vary up to 10% depending on the marketing campaign. Imagine a property supposedly priced around $400,000. The actual selling price could vary from $360,000 to $440,000 that is a massive $80,000. At Move Realty we believe it is our job to ensure that as much of the $80,000 as possible goes into your pocket rather leaving it safe in the buyers bank. Move Realty embark on extensive marketing in Wentworthville region and throughout Sydney on a regular basis. We have an impressive record of achieving outstanding results where others have failed. Yes, we could reduce our fees, but we will have to cut corners of the marketing campaign and service. This might be detrimental to our overall objective and that is to get, you, the best possible price in the market. I would like to quote you the old proverb that is as relevant today as it ever was: “YOU GET WHAT YOU PAY FOR”. This is one of the most stunning times of the year around Sydney. The weather is warming, nature is waking up and the spring gardens look spectacular. People are starting to move around Sydney as usual, is one of the favourite destinations. However, sales throughout the year are remarkably steady in the Sydney Suburbs and sometimes the apparently less attractive times to sell are in fact the best. The best time to sell is more likely determined by current market conditions. Our advice is to discuss the current market climate with your Move Realty salesperson or email the office.